-Random access to content when the playout order changes frequently, such as game and talk shows, awards programs, sporting events, late-breaking news, etc. -Structured playout when the playout order is predictable and changes are infrequent, such as news, commercial breaks, highly structured productions, educational presentations, etc. Flex Control Network makes it easy to manage a single video server channel up to 32 playout channels. Press a button to load and play a clip on one channel. Load a fill clip/key clip combination on two channels for synchronous roll to air, or eight clips across eight channels for individual or gang roll playout. 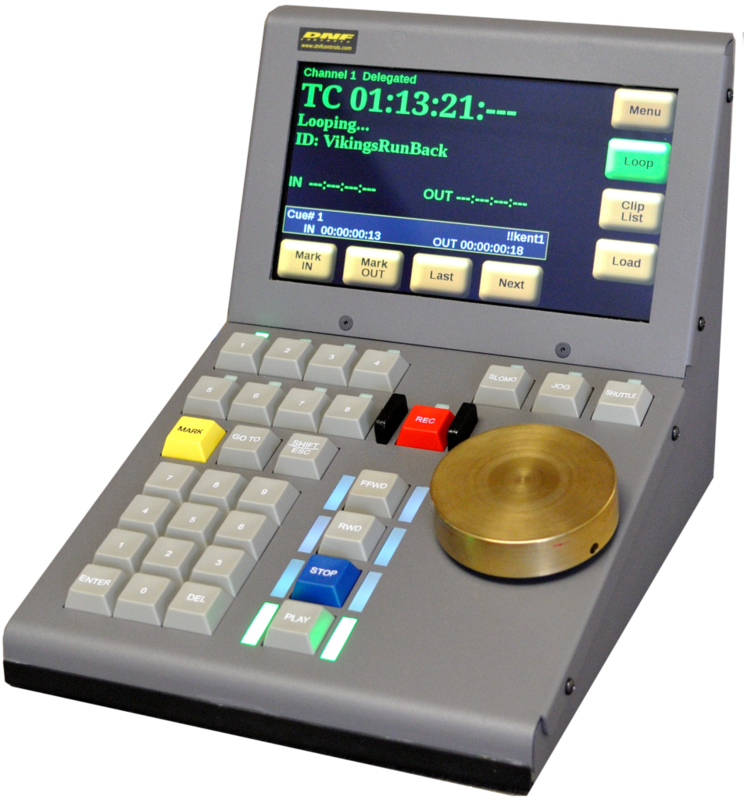 The CP30 Control Panel offers a tactile user interface with the speed and responsiveness operators demand, and the transport control they require. The GTP Processor connects to and controls the video server over serial or IP using its native interface language. Together, the CP30 and GTP deliver a highly adaptable, scalable control experience that reliably and accurately manages playout devices in the same room, across campus, or around the globe. The system’s unique architecture and modular design lets users place tactile control panels and control processors for optimum efficiency and permits individual playout devices to be changed without affecting the whole operation. Every operator and system action is logged for later review. Simple remote access to log files provides quick and easy diagnostic data to resolve system and operational issues. Changes can be implemented on-site or remotely over using any Web-browser. Among the benefits are dramatically lower downtime, rapid problem resolution, and a valuable learning tool for after-action analysis.